1Orloff, Lisa A. Ultrasonography in the Thyroid Surgery Practice. Head and Neck Endocrine Surgery, 27 Oct. 2006, Head and Neck Endocrine Society. San Francisco, California: UCSF School of Medicine, 2006. 2Mandel, Susan, MD, MPH. 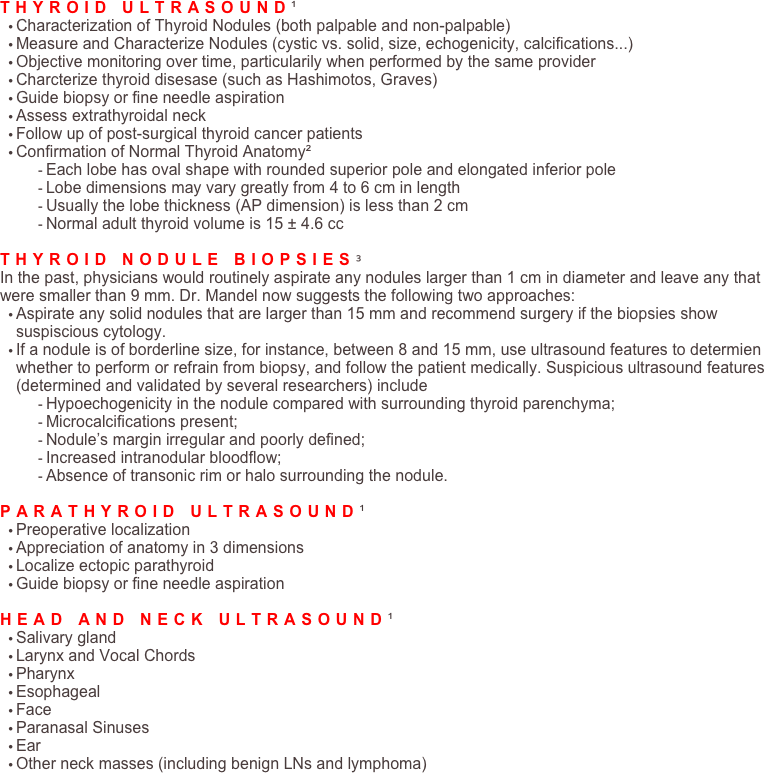 Thyroid Ultrasound: Diagnostic Use. Thyroid Sonography Workshop, 6 Oct. 2005, The Endocrine Society. Toronto, Canada: The Endocrine Society, 2005. 3Kristiansen, Cathy. "When to Be Selective with Thyroid Nodule Biopsies." Endocrine News 30.4 (2005): 16.